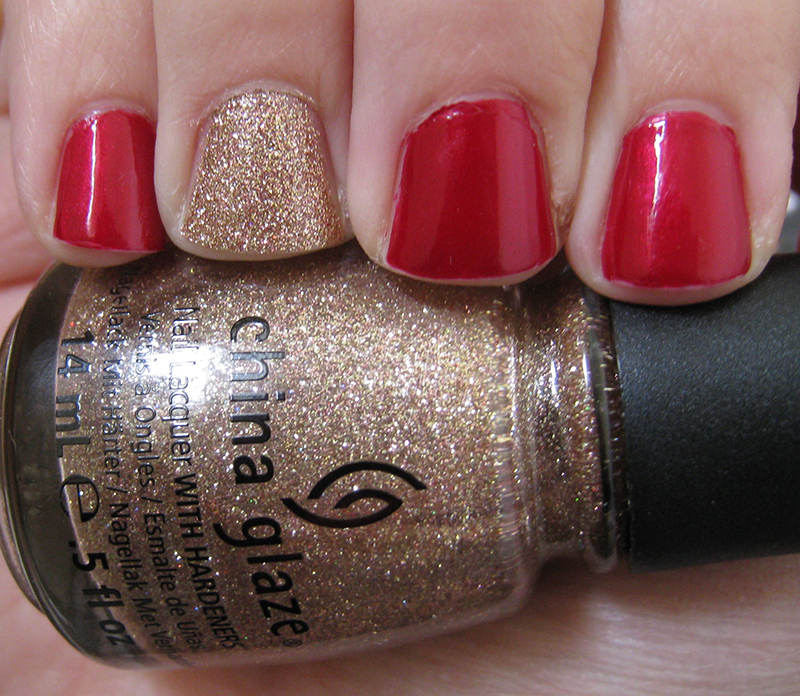 It's Christmas Eve and I wanted to post a festive NOTD, so I choose red and gold! OPI Wocka Wocka! 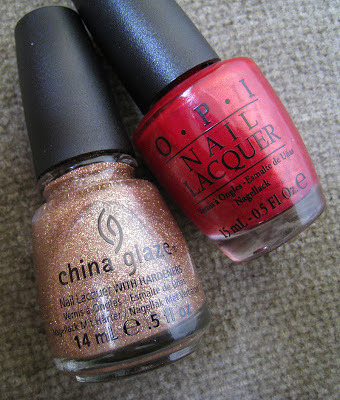 was released last year with OPI's holiday collection, The Muppets. It's a gorgeous deep blue-toned red with fine gold shimmers and in my opinion one of the best reds I've ever tried! And to make my nails look more festive today I chose a gold glitter for my ring finger, China Glaze's Champagne Kisses. I got this one last week, it's from the new China Glaze Holiday Joy collection, it's a stunning champagne gold glitter polish, almost rose gold, with very fine milled glitters, you only need two coats with this one! What's your festive nail polish for the Christmas? Let me know! I hope you all have a wonderful Christmas with your friends and family! Χαχαχα! Merry Christmas Μαιρη μου!!! Το κόκκινο OPI είναι καταπληκτικό!